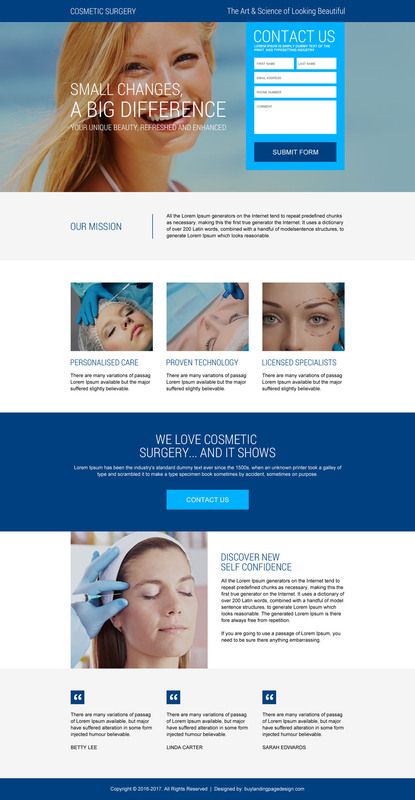 In other words, you can now promote your cosmetic surgery services online with our modern and eye-catching landing pages because our landing pages are designed with utmost care by our experienced and expert designers so it helps you to boost your conversion rates. Which services you can promote with our landing pages? 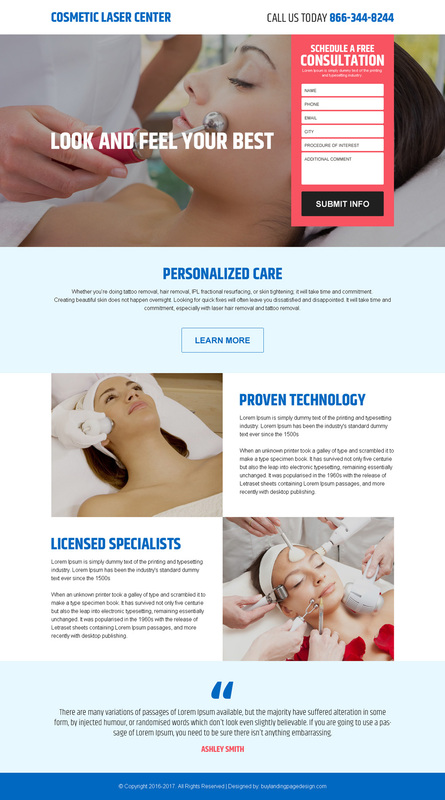 Therefore, you can now promote your cosmetic surgery services like eyelid procedures, breast enhancement, body sculpting, facial enhancement, tummy tuck, and many more with our landing pages. 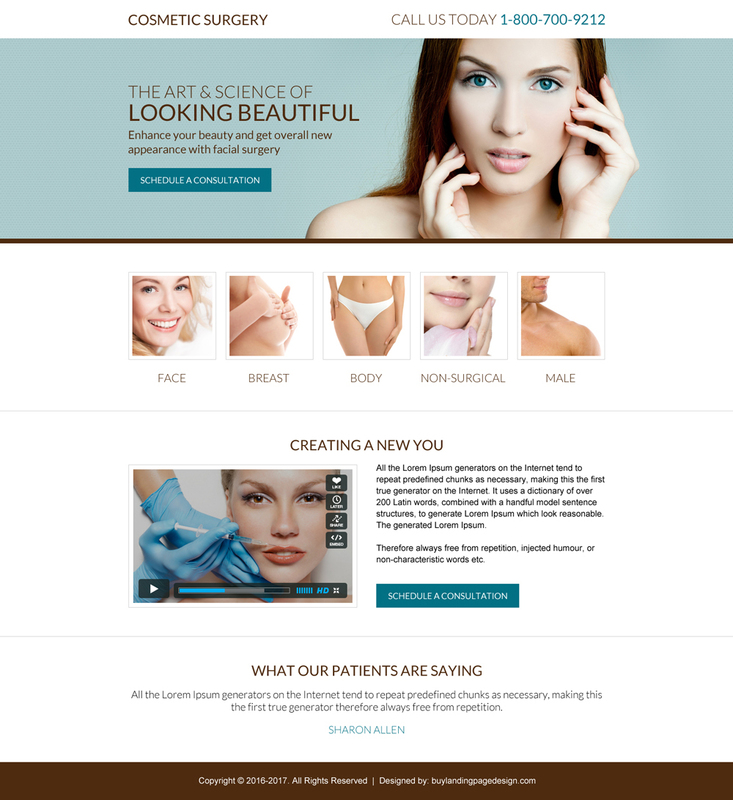 So, if you want cosmetic surgery pages at pocket friendly prices then you can have a look at https://www.buylandingpagedesign.com/landing-page-design/cosmetic-surgery/ because our landing pages are effective and reasonably priced.